As the French team crushed an underdog Croatian team 4-2 in an exciting final in Moscow to lift the FIFA World Cup 2018, it drew curtains to the 31-day festival of football --a festival that saw many firsts. The first VAR decision in a World Cup final, Croatia’s first appearance in a World Cup final, the first-ever self-goal in a World Cup final, and of-course, Kylian Mbappe, the first teenager to score in World Cup final since Pele in 1958. Beyond being a monumental sporting event, the FIFA World Cup 2018 holds some critical lessons. What can communications professionals learn from all of this? Let’s have a look at five Public Relations (PR) lessons from the FIFA World Cup 2018. 1) Unexpectations: The 2018 World Cup was full of surprises as underdogs slayed their opponents. Giants of the game suffered early exits, goals flew in late at an astonishing rate as the football world was treated to one-month of suspense from Eastern Europe, where predictions were made to go wrong. While Germany took a bow in the first round, Spain followed in the second round and Italy/Netherlands failed to qualify. Post 1982, this was the first time that Africa-- represented by Nigeria, Senegal, Egypt, Morocco and Tunisia-- crashed out at the group stages. Lesson for PR: Not all PR campaigns will run as per a drafted script. Define your broad goals and plan your campaign with the resources and information available. Keep evaluating, be flexible and choose the right channels that will support the objectives that you are trying to achieve and revise based on feedback. 2) Technology: History was created at the 2018 World Cup, as for the first time Video Assistant Referee (VAR) was in place to assist referees award France a 38th-minute penalty which Antoine Griezmann scored to give them a 2-1 lead over Croatia in the finals. With 14 high-end cameras capturing up to 500 frames per second, 3D coordinates of the ball was monitored and signal were sent to the referee's watch/VA Screens, and observation was not left to just humans (referees). Everything is now observed and monitored in micro frames. Lesson for PR: With the ever-changing media consumption habits, PR firms need to constantly build on their storytelling capabilities and apply them to new age media. As each movement is under the lens and captured digitally, organisations need to ‘walk the talk’. 3) Team Work: While this one is a no-brainer, having the best players doesn’t make the best football team and the 2018 World Cup proved it again where great teamwork beat great individual effort. Like the finalists France and Crotia or Brazil, Uruguay (defiant defence), Belgium (lethal counter attacks) and England (coordinated set-pieces), the 2018 World Cup was a tournament of collectives and almost all of those teams that had been built around the stars failed to perform. While Kylian Mbappé, the first teenager to score in World Cup final since Pele in 1958, dazzled as a part of a group effort helping France pick the World Cup, teams Argentina and Portugal suffered because of their over-dependence on individual stars Lionel Messi and Cristiano Ronaldo. Lesson for PR: Don’t let the campaign depend on one individual. Set the agenda, collaborate with multiple internal and external stakeholders and use their strengths for effective outcome. Work on the ‘WE’ in the story you want to tell and how it will make a collective difference. 4) Goal setting & game plan: The game changes with each kick and the strategy adapted plays a huge role in the success of football teams. In the 48 matches, teams played to win. In the knockouts, not losing becomes more important than winning. The semi-finals of France-Belgium and Croatia-England were won and lost because of the strategic brilliance and the tactical blunders of their coaches. France’s strategy was plain and simple -- defend deep and deny space and create attacks to keep the Belgian defence busy and honest. Croatia used its seasoned campaigners in their line-up where England lacked experience. Lesson for PR: To run a successful PR campaign, have a long term vision, establish a set of objectives and key results to track, measure progress throughout your campaign’s journey and make adjustments to your plan as needed (without freaking out) to hit or exceed your company’s or client’s goals for a successful campaign. 5) Drama: While Brazil managed to secure a ticket in the quarter finals after defeating Mexico 2-0, the spotlight fell on the Neymar da Silva for his ‘rollovers and feigning injury’ raising eyebrows with his outrageous theatrics. Even the legendary Diego Maradona, known as one of the greatest players, became the centre of drama for making an obscene gesture while celebrating Argentina’s dramatic 2-1 win over Nigeria, eventually drawing plenty of criticism. Lesson for PR: Drama may give a temporary photo-op and share of voice, but fails to create a positive image in the long run. Don’t do things the way you always do them. Aiming for something different may be more effective but avoid short term attention. 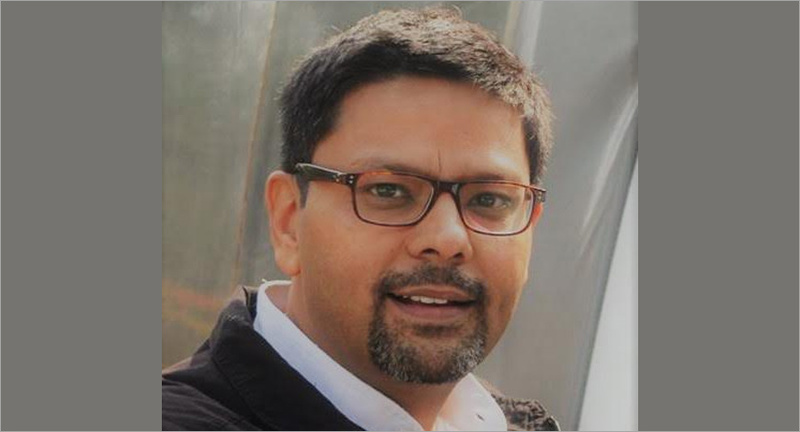 Anup Sharma is an independent communication consultant with more than two decades of experience in political campaign management, corporate communication and social media engagement.